“Food is the moral right of all who are born into this world”. “Yes, Africa has potential, but no one can eat potential”. US Congressional medalist, Iowa born Nobel Peace Prize winner Dr Norman Borlaug. 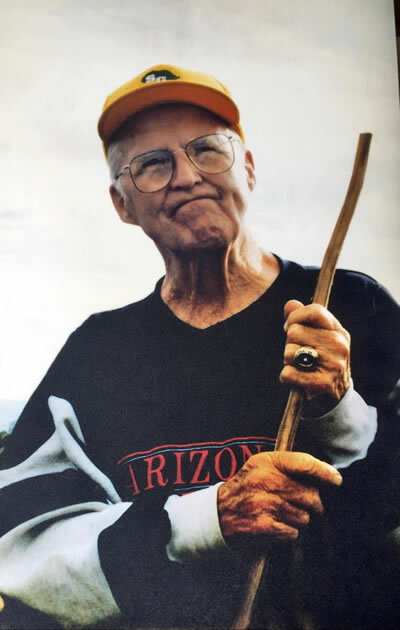 I present to you my most favorite of Dr Borlaug’s pictures. Going by the cap on his head, he must have been somewhere in Africa. He looked pensive, probably wondering whether he had done enough for Africa. Look, he got started in Africa at age 74, after already winning his Nobel Peace Prize for saving Asia from starvation with his technologies that saw grain yields quadruple. Things did not work exactly the same way in Africa as they had done in Asia. Norm (as we fondly refer to him), Mr Ryoichi Sasakawa (late) and President Jimmy Carter, together did a lot in Africa in later life. In countries where they operated, they would arrive and go straight to the Head of State. During the Green Revolution in Asia, country leaders played a key role to make it happen. The idea was: teach a man to fish, instead of giving him/her fish. This achieves a number of things; one, it affords that individual their dignity, and two, it is a more sustainable way of ensuring food security especially at family level. Dr Borlaug was a unique scientist; he had a moral compass! It was important for him that science should help humanity. He believed that without ample nourishment, nothing else mattered. It bothered him that more than half the world population was hungry and that most of these were in the developing world. He did not understand presidents who were not perturbed by this fact and did not hesitate to talk about it. The challenge of feeding the world that Dr Borlaug was concerned with continues unabated. There is enough food in the world to feed everyone, yet millions of people still go hungry every day. His legacy leaves on. His work and fame have inspired so many others who do good work in this area. All these individuals can be found all over the world; thanks to them, Dr Borlaug’s light keeps shining. He started the World Food Prize in 1986 as the Nobel Prize for agriculture. It was then followed by the Youth Institute. He valued the youth as he saw way into the future, when he would no longer be there physically. The work of the Youth Institute ensures that at any one time, there are champions to carry on with advocacy and promoting THE message. The papers presented in this special issue are testimony to Dr Borlaug’s desire that his life’s work should outlive him. The LEAP (Leadership Enhancement in Agriculture Program) that ran from 2005 to 2018, supported by many individuals and institutions and the US government, has nurtured scientists through a competitive Fellowship Program, and they in turn can inspire even younger scientists. I extend great thanks to Drs Tag Demment and Susan Johnson for affording us the opportunity to carry this publication. I too have had a lot of what I do inspired by Norm Borlaug. May his spirit continue to inspire us all.